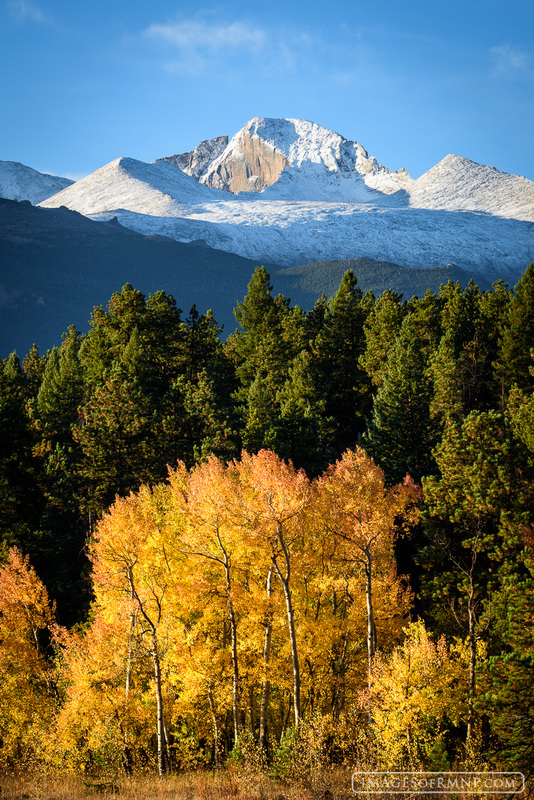 There is perhaps no scene more iconic than Longs Peak covered in a fresh coat of snow with Colorado blue skies above and golden aspen below. Nearby a bull elk can be heard bugling. If only every day could be this perfect! Photo © copyright by Erik Stensland.